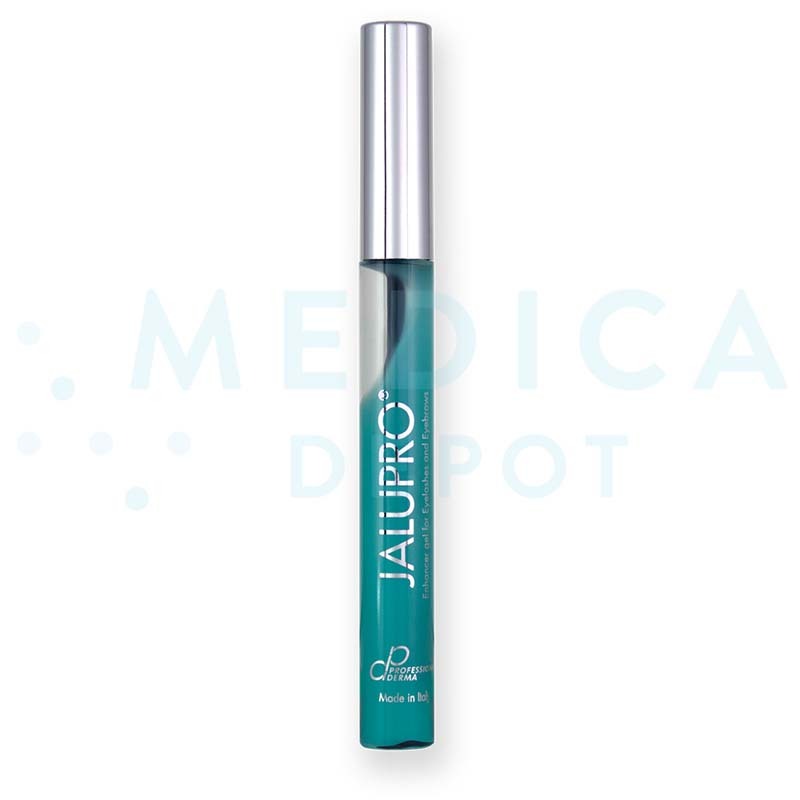 Jalupro Enhancer Gel is an eyelash enhancer gel made of botanical extracts and biomimetic peptides. Patients may apply this gel to improve the look of their eyelashes and eyebrows, stimulating growth for stronger, longer, and thicker hair. The easy-to-use applicator helps your patients grow their lashes from the comfort of their own home. Where can I buy this eyelash enhancer? 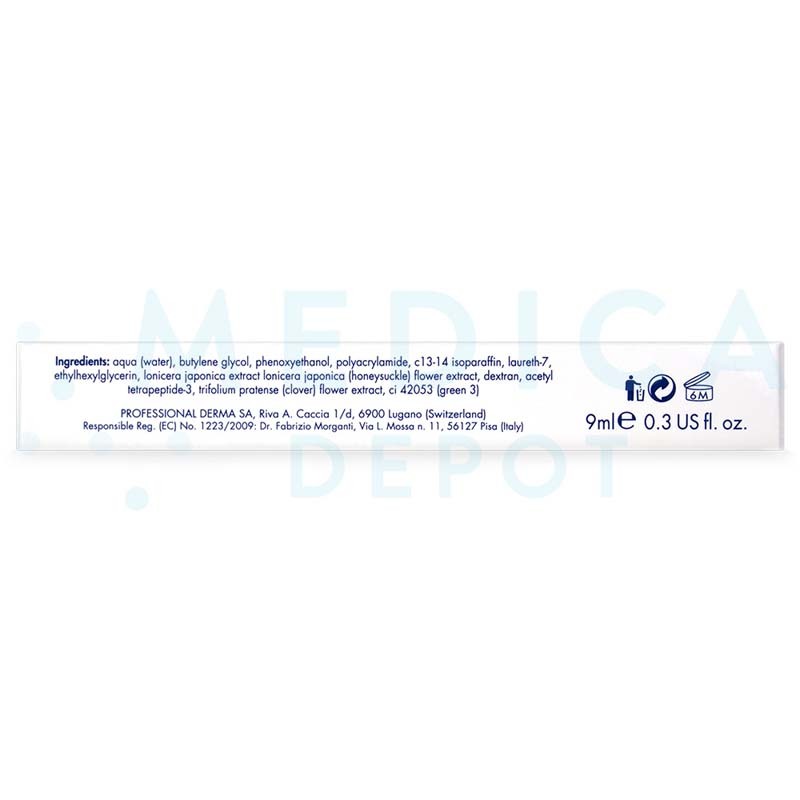 Purchase Jalupro Enhancer Gel online, by phone, or via fax from Medica Depot. Enjoy the convenience of purchasing this and other skincare products quickly while also benefitting from low wholesale prices. In each package of this gel, you will receive 1 mascara-style tube with a brush applicator and 1 product leaflet. What are the benefits of this eyelash enhancer? How does Jalupro Enhancer Gel work? This gel contains biomimetic peptides and red clover extract. Eyelashes can weaken and fall out from makeup application and removal, stress, and other factors—this enhancer gel helps to prevent damage by protecting the lashes and stimulating their growth. Red clover extract contains a high level of Biochanin A isoflavone, a powerful antioxidant that helps fight free radicals. By protecting lashes from these free radicals, the botanical extract can help counteract damage from stress and the environment. Additionally, acetyl tetraeptide-3 is a biomimetic peptide that can help stimulate protein cells, triggering collagen production for stronger lashes. As the eyelash enhancer protects lashes and stimulates their growth, they are able to grow longer, stronger, and thicker. What are the ingredients in Jalupro Enhancer Gel? This eyelash gel contains Trifolium pratense flower extract, also known as red clover extract, which has a high Biochanin A isoflavone content. The other main ingredient in this gel is Acetyl tetrapeptide-3, which is a biomimetic peptide. 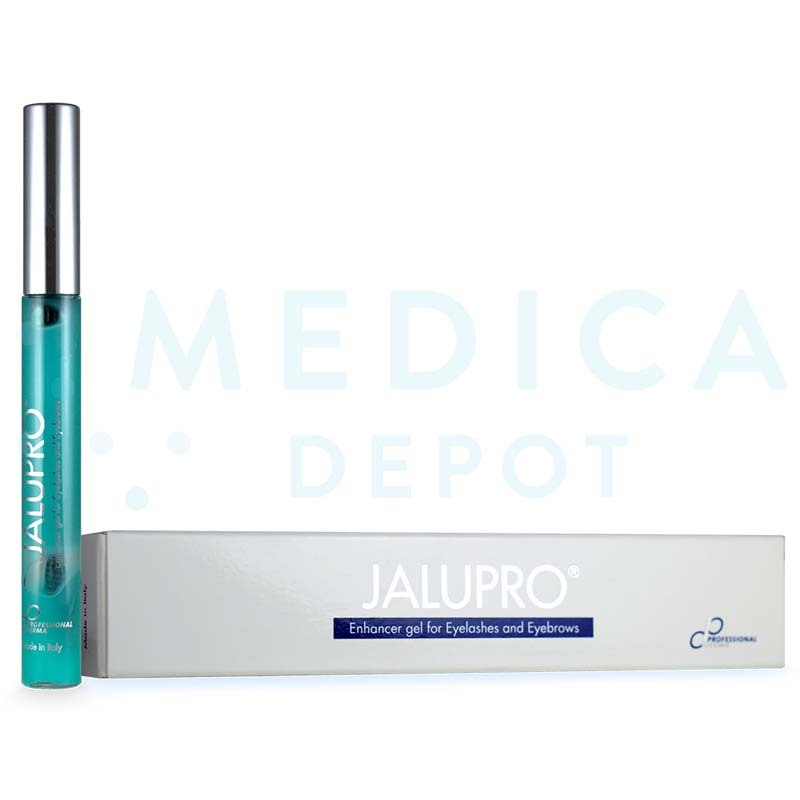 What is the difference between Jalupro Enhancer Gel and Latisse? Latisse is a bimatoprost ophthalmic solution, and is similar to prostaglandins in the body. Originally, it was created to treat glaucoma. Conversely, Jalupro Enhancer Gel contains peptides and isoflavones and was specifically designed to promote eyelash growth. Both eyelash-enhancing products help protect lashes as they grow. Using the built-in applicator, your patients should apply the gel along their upper and lower lashes and eyebrows, similar to how they would apply mascara or brow gel. For the first month, they should apply the gel twice a day, in the morning and evening. After this period, 1 application per day will suffice. When should I use this eyelash enhancement gel? This gel should be used on patients who wish to have longer, stronger eyelashes. Studies suggest that after applying this gel for 2 months, patients will see a growth increase of 45%. Your patients should continue using the gel after this period to maintain their results. What areas of the body can I treat with this cosmetic product? You can use this gel on the eyelashes and the eyebrows. Who is an ideal candidate for Jalupro Enhancer Gel treatments? The ideal candidate for these treatments is someone who desires longer, thicker eyelashes but who has naturally sparse lashes, those over the age of 40 with lashes that have become damaged and sparse with aging, or who suffers from trichotillomania, a hair-pulling disorder. Why should I purchase Jalupro Enhancer Gel? Purchase this eyelash enhancer to help your patients improve and maintain the look of their eyelashes and eyebrows. 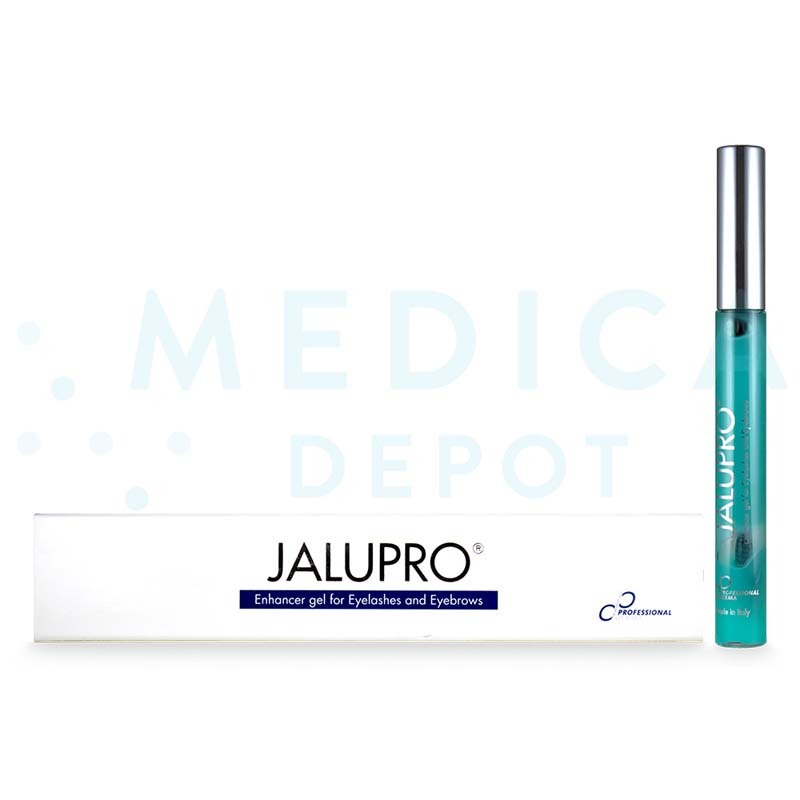 Jalupro Enhancer Gel is made by Professional Derma SA, an innovative European aesthetics manufacturer known for its dermal fillers and other products. Because of this, you and your patients can count on this cosmetic product to provide quality results. Also, with this product, you benefit from not only providing an added service to your patients, but also from increasing revenue with an up-sell product for your existing clients. Most of all, by purchasing Jalupro Enhancer Gel from Medica Depot, you save money with low wholesale prices. What are Jalupro Enhancer Gel's side effects? Side effects may include eye irritation. Any adverse effects should be reported to a medical professional. For more information, please consult the product leaflet.